A SQL Server instance where to restore a copy of a database to run your recorder workload against. I can’t stress this part enough, but never, ever run this against your production database or servers! At least once machine where to install Distributed Replay components. I prefer having minimum of two computers for this purpose, but you can get away with using just one. Backup of a database taken before you recorded the workload. To set up your Distributed Replay machines you need to install the following components by running SQL Server setup. Management tools – Basic, SQL Server Distributed Replay Client and SQL Server Distributed Replay Controller. If you have more than one machine at your disposal, consider making one a dedicated controller and running the Clients on the other machines. On this scenario you’ll install Management tools – Basic and SQL Server Distributed Replay Controller on one machine and SQL Server Distributed Replay Client on the rest. Just replace the [full_path_to_xxx] with the actual path where the executables reside and you’re done with the firewall. 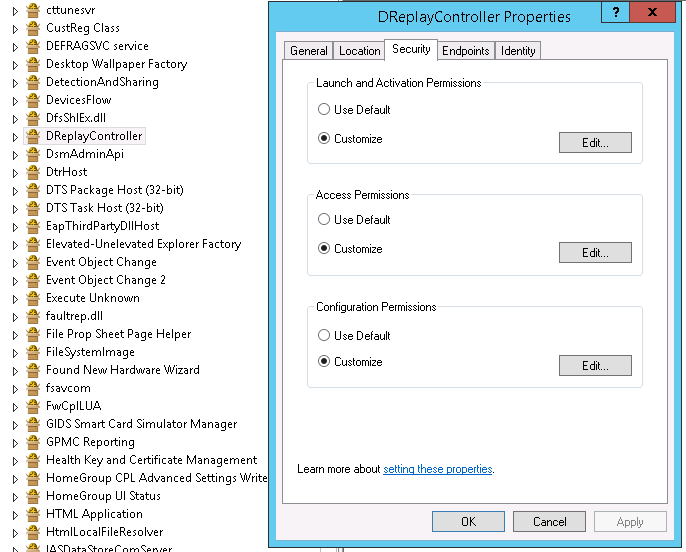 As the Distributed Replay uses DTC you’ll also need to add some permissions to DReplayController DCOM Config. This can be done by running the dcomcnfg.exe and then navigating to Computers\My Computer\DCOM Config folder and opening the properties for DReplayController. Go to Security tab and then edit Launch and Activation Permissions. Add the user account you created for running the Distributed Replay and give permissions to Local and Remote Activation. Then add Access Permissions. Add the same user account again and give permissions to Local and Remote Access. net start "SQL Server Distributed Replay Controller"
If everything is working as it should, you’ll should see clients reporting READY status. Hit CTRL+C and return to command prompt again. If the clients aren’t connecting and you haven’t restarted them after performing the steps above, restart them now and try again. The last step of preparing the environment is giving the account we’re using to run the Distributed Replay necessary permissions to connect to the server and database we’re testing. dreplay preprocess -i "X:\FolderToTrace\filename.trc" -d "X:\WorkDirectory"
If you’re recorded trace is large, this part might take awhile. 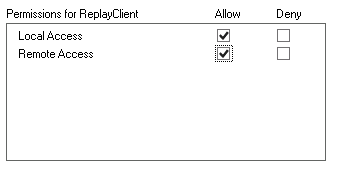 dreplay replay -s "server_name" -o -d "X:\WorkDirectory" -w "dreplay_client1, dreplay_client2"
As you start the replay it’ll first dispatch events to all the clients. Again this might take awhile depending on the controller and replay machines and how large recording you have. Once the events have been dispatched the clients will start executing queries against your database. You can monitor the progress from the Administration Console, it gives you an estimate how much time is left for the replay to complete and the success rate. Eventually it’ll end and you’ll see a screen that looks something like this. In my case it took almost 4 hours to complete the run with almost 11,000,000 events with very good success rate (over 99%). As we chose to capture the client activity by using -0 parameter with dreplay.exe, we now have trace-files in all client machines. These trace files hold the usual information about the executions such as execution times, reads, writes and about the transactions that failed. After running the test it’s a good idea to see what, if any, queries were failing. Also if you’re interested in comparing how certain queries ran compared to production, you can use the client generated trace files for that. And if you’re interested in monitoring the performance of the server hardware you can always run Performance Monitor collector on the background while running the replay.